Today’s card is the Ten of Wands. 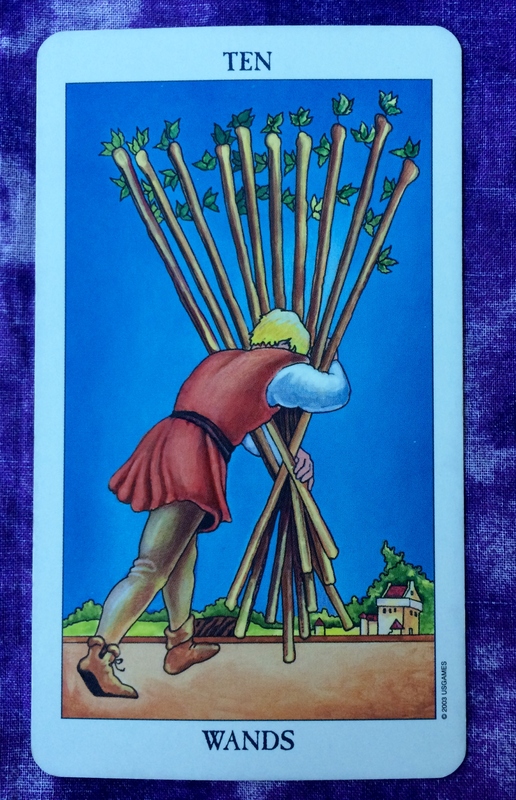 The Ten of wands is about overdoing it when it comes to our duties. Hard work is good — but balance is key. Think about why you work so hard. How much of it is because you want to be perfect, liked or loved, or to be seen as someone with money and status? None of these are bad goals to aspire to. But when it gets to the point of exhaustion, then it’s time to rethink how you are going about achieving your goals. Realize when enough is enough and it’s time to stop working for the day. Get help when you need it. Take time to enjoy the fruits of your labor once in a while. Give up perfectionism and the need to please everyone because these particular goals can never be reached. And even so, you are still lovable and worthy of love. 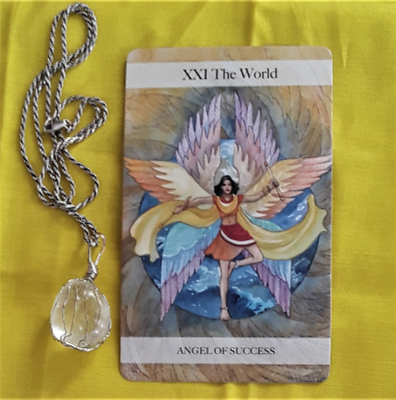 The Ten of Wands is an interesting card to pull today, which is the day that Saturn begins its transit through the sign of Capricorn. This transit lasts for two and a half years. The energy of Saturn in Capricorn is one of hard work, integrity, responsibility, and seriousness. Some people experience this influence as harsh and unforgiving. But perhaps it is because we often are harsh with ourselves. As you navigate through Saturn in Capricorn, remember to balance your hard work with self love and self care.